Peugeot has unveiled its new 3008 crossover, which will debut at the Geneva auto show in March. PARIS -- Peugeot has unveiled its new 3008 crossover, which will make its public debut at the Geneva auto show in March. The SUV-styled model will go on sale in Europe starting in the spring. Peugeot is positioning the 3008 against cars such as the Volkswagen Tiguan, Ford Kuga and Nissan Qashqai. Bernd Schantz, Peugeot's vice president for international sales, told Automotive News Europe. Peugeot showed the 3008 to journalists at an event in Paris. The car included luxury options such as a dashboard-mounted satellite navigation system and a panoramic glass roof. 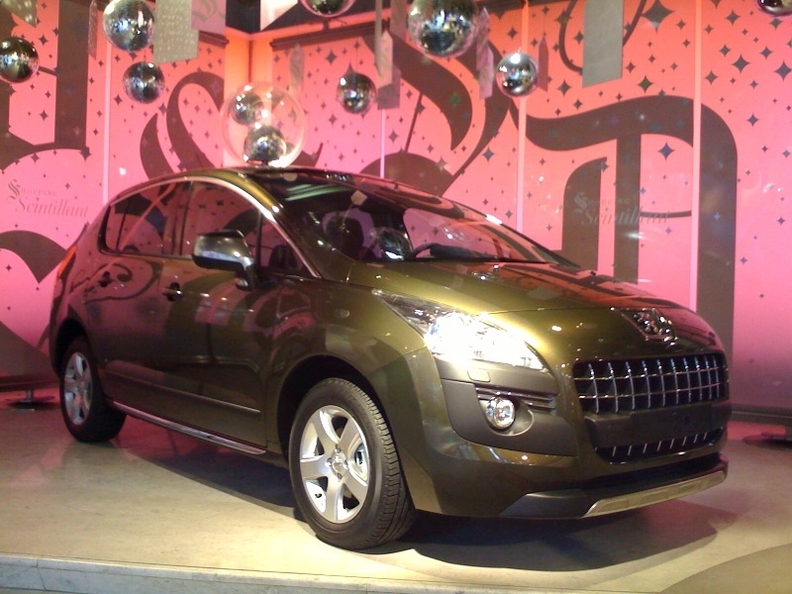 The 3008 has strong resemblances to the Prologue concept shown at the Paris auto show last October.